Mice are one of the most irritating pests that you can find in your house. They love to nibble on the foods that are leftover in your kitchen. You will most commonly find rats in your kitchens. They enter stealthily into your kitchens and create a lot of damage even before you know what has happened in your house. If you have left food items open or if there are tiny pieces of biscuits, chocolates, cheese, vegetables or other food items lying on the floor, you can be sure of finding mice in your home, irrespective of the repellents you use. 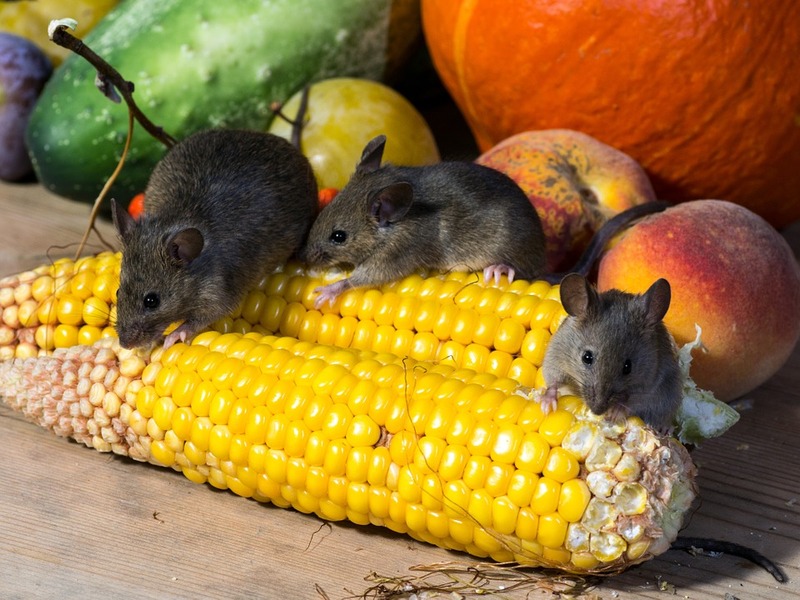 Mice get attracted by food items, the most. Hence, if you want to control the entry of mice in your house, you have to ensure that you keep food items clean, closed and away from the reach of these mice. Once you have ensured that your kitchen is neatly maintained, you can proceed to do the following changes in your house, to prevent the entry of mice. Check your door fits to see if they are properly sealed. If they aren’t, it is highly recommended that you fix bristle strips at the bottom of the doors to ensure that you don’t allow mice to enter your home. It is very important for you to check the air bricks and vents regularly. If they are broken or damaged, mice will love to enter your home through these tiny holes. Therefore, you have to use galvanized wire meshes over these vents to block the entry of mice into your home. Check all the pipework in the interiors and exteriors of your home thoroughly, to ensure there are no leakages or cracks. If there are any holes around the pipes, it is important to seal them with stainless steel wire wool so that they don’t give away easily. You need to check the roofing of your house regularly to check for cracks if any. You should use wire meshes to seal the gaps that you find on the roofs. This will ensure that you block all the entries through which mice can enter your home. If there is an overgrowth of trees, leaves, shrubs, and vines near your home, you should be very careful about mice entering your home. These are the places that provide good shelter and nesting places to mice and make it very easy for them to access your home. If you have lawns around your building, you should ensure that you keep it well-trimmed. Overgrown and irregular lawns can provide shelter for mice as well. Also, you should always ensure that there is a considerable distance between your building and the lawns. In a nutshell, if you eradicate three things from your home, you can ensure that you can put mice at bay. They are food, shelter, and warmth. You should ensure that you shouldn’t leave food particles lying around in your kitchen. You should also check regularly to remove shelter spots from the vicinity of your home. Take extra care in removing all areas that provide warmth to mice. Talk to a mice-care specialist for more help on permanently stopping mice from entering your home, if you need further help in this matter.